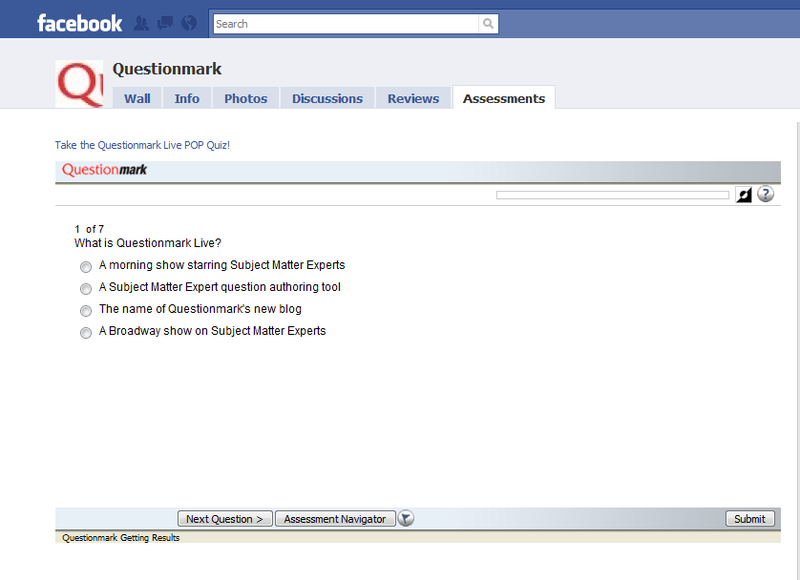 Embed a Questionmark Perception assessment, survey or quiz inside your Facebook page. 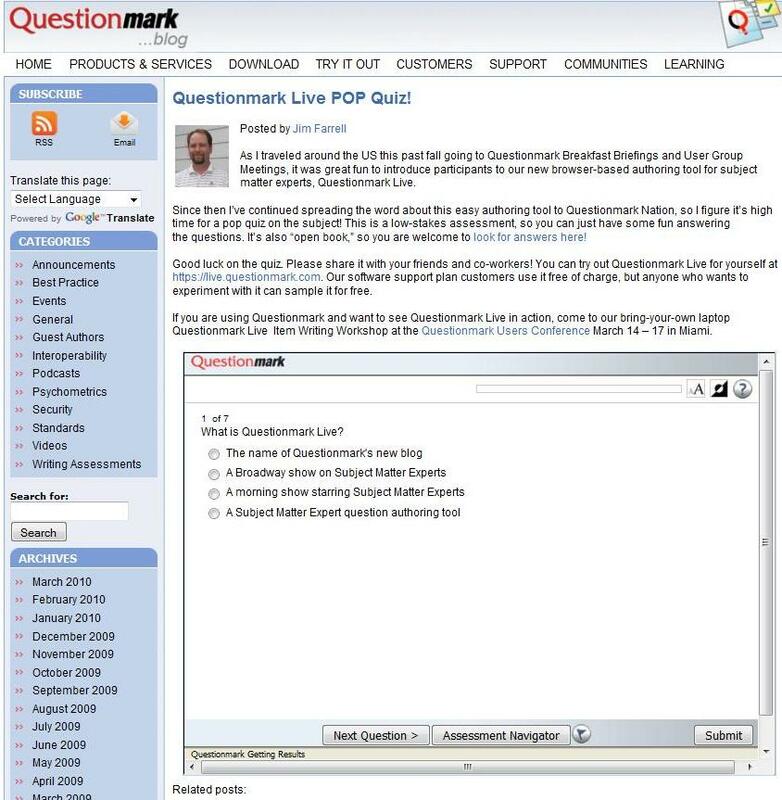 To see how this would look, take the embedded quiz within Questionmark’s Facebook page or see a snapshot of how this would look. 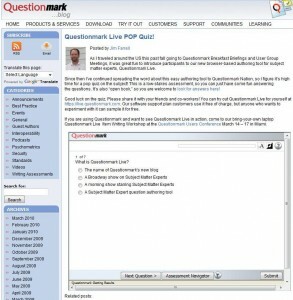 Check out the How-to on Questionmark’s developer Web site. If you would like to experiment with this on your own Facebook account, you will need to consider where you want the assessment to appear: On your profile page use the Profile HTML Facebook application or on a Business/Fan page, use the Static FBML Facebook application.